The Federal Communications Commission plans to fine Hilton Worldwide Holdings $25,000 for obstructing its investigation into whether the hotel operator blocked Wi-Fi hotspots being used by customers. In an order published on Monday, the FCC said Hilton must provide information and documents to assist the investigation or it could face a "significantly higher fine." Also on Monday, the FCC said it would fine electrical contracter M.C. Dean $718,000 for blocking Wi-Fi at the Baltimore Convention Center. The agency said that the company blocked visitors' and exhibitors personal mobile hotspots when they tried use their own data plans to get online rather than paying M.C. Dean "substantial fees" to use the its Wi-Fi service. The investigation into Hilton, which mirrors others launched by the FCC, began in August 2014 when a complaint was received that alleged the Hilton in Anaheim, California, was blocking Wi-Fi hotspots used by consumers unless they paid a $500 fee for the hotel's WiFi service. Complaints were also received for other Hilton properties. In November 2014, the FCC asked Hilton for information regarding corporate policy and WiFi management practices at its U.S. hotels. A year on from that request, the FCC says it still hasn't received the documents it requested. "Hotel guests deserve to have their Wi-Fi blocking complaints investigated by the Commission," said Travis LeBlanc, chief of the FCC Enforcement Bureau in a statement. "To permit any company to unilaterally redefine the scope of our investigation would undermine the independent search for the truth and the due administration of the law." Hilton Worldwide Holdings said it strongly disagreed with the FCC's decision and that it has a policy in place that prohibits blocking Wi-Fi and is regularly transmitted to its hotels. 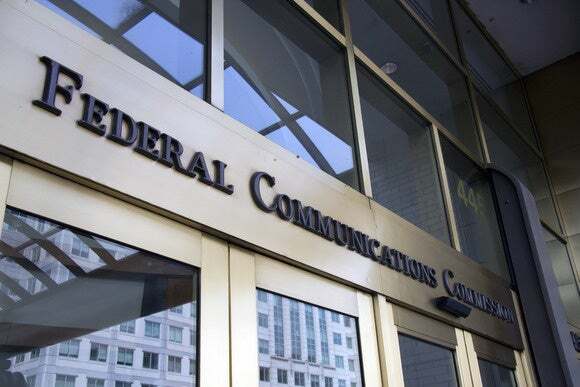 "Throughout this inquiry, we have cooperated with the FCC, providing extensive background and details in a timely and efficient manner," it said. "We believe that the FCC has no basis for vastly expanding the initial inquiry based on a single complaint at a single Hilton hotel." Other hotels have recently been fined for blocking customer hotspots -- devices typically used to avoid the pricey Internet service offered by hotels, especially at conventions. Last year, Marriott was fined $600,000 for Wi-Fi blocking, and in August Wi-Fi network operator Smart City was fined $750,000 for blocking wireless Internet at convention centers across the U.S.